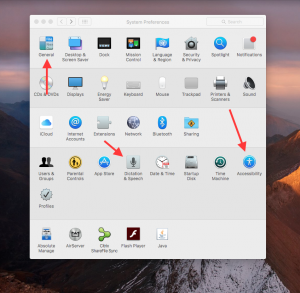 In this article you will learn where to go and how to make adjustments to your MacBook. 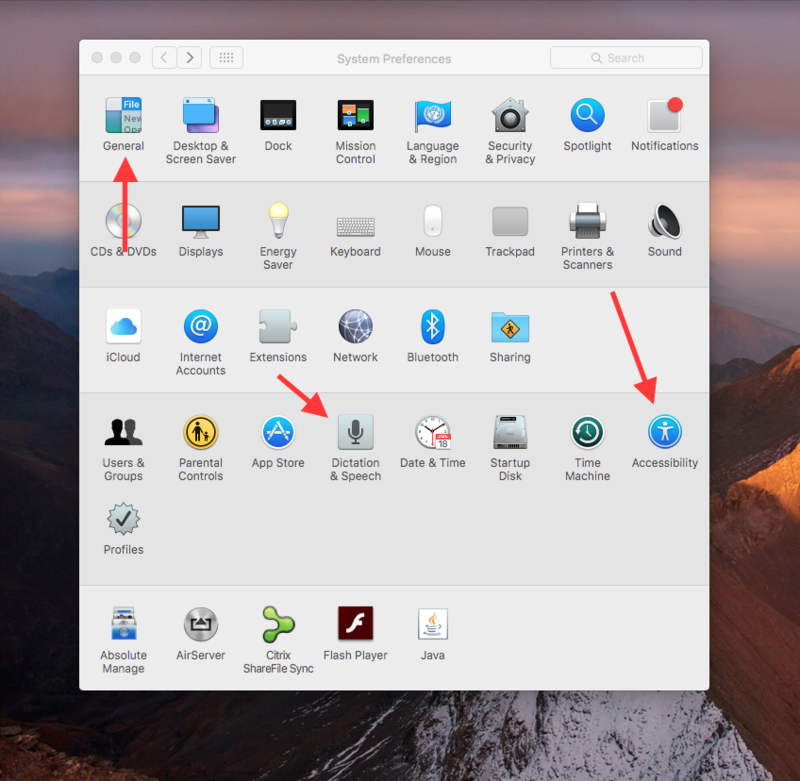 Select the apple in the top left hand corner of your screen, and select System Preferences. System Preferences is the place to customize your MacBook. Not only can you make changes in this window, but you’ll often find out how the different tools on your laptop work. This article will highlight a few of the more popular customizations, noted in the image below, and this Apple article will go into a little more depth about the options available in System Preferences. Select the General button and you can change the colors of the buttons, menus and windows. Try different options to see what works for you. There are several other changes that can be made in this section, one that is notable is the option for showing the scroll bar in applications. Under Accessibility you can find options to enhance the visual, auditory, and interactive features on the laptop. One of the most popular options is the Zoom feature. The gif below shows how this feature works. 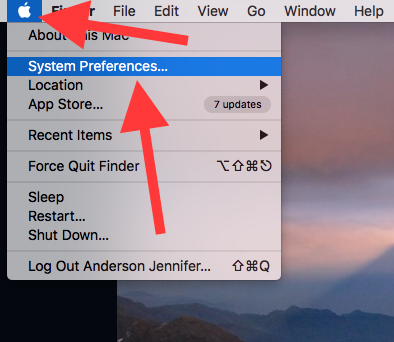 There are several other customizations that you can make to your laptop in System Preferences, you might select the different options and see what other modifications are possible. What do I need to know about my MacBook Battery?